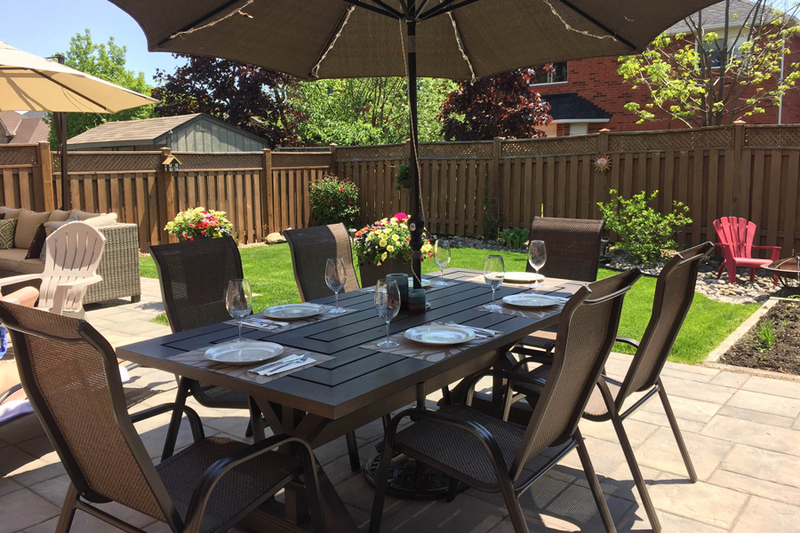 In the Gubianis backyard you’re greeted with ample opportunities to find comfortable seating. The landscape is made up of both stone interlock as well as a section of lush green grass that combines to create a modern and sophisticated retreat. 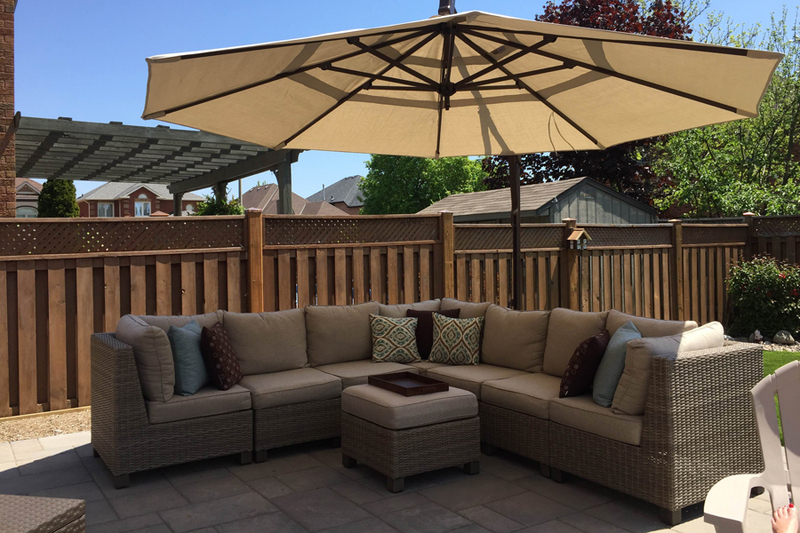 The large deeps seating resin wicker sectional is placed perfectly under the Cantilever Umbrella to provide a cozy and cool retreat from the sun. The lush pillows throughout the sectional give you the perfect spot to lay down and take an outdoor nap or catch up on your favourite book. 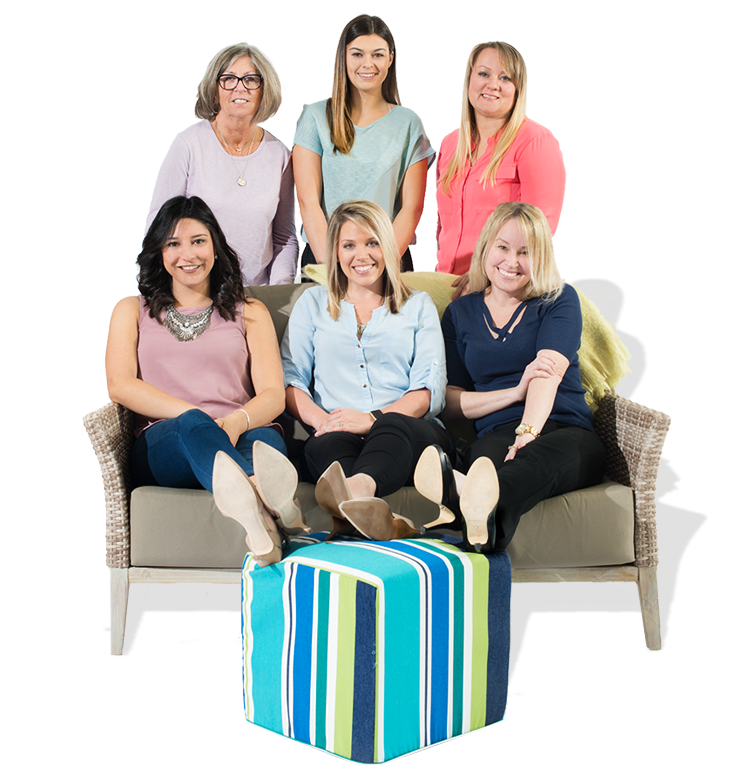 Muskoka chairs are placed throughout the backyard to give you seating options close to the action or a pulled back a bit. 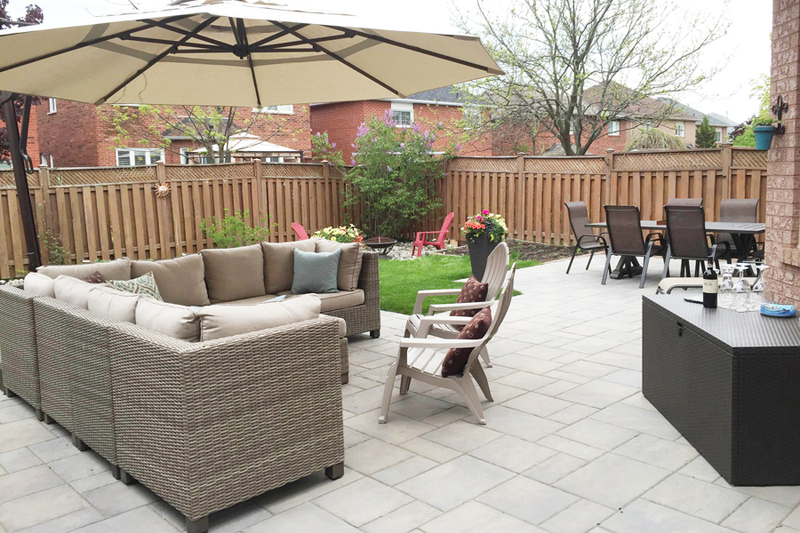 The chairs closest to the fence are placed within the stone garden that surrounds the back fence line and acts as distinction from the surrounding area. To the right of the backdoor entrance you’re met with an elegant spot to entertain friends and family with Extruded Aluminum and Sling Dining Chairs, and a Wood Slatted Dining Table. 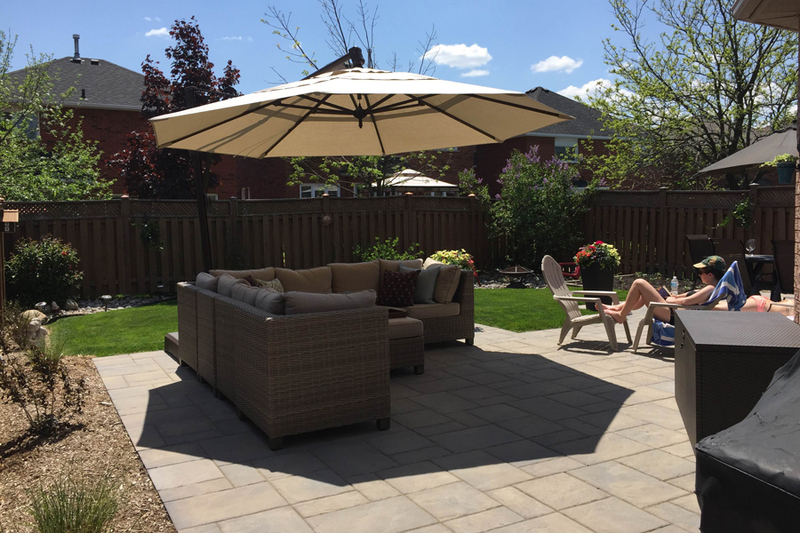 The umbrella provides the perfect amount of shade when needed.